Born in Paris later resident in Madrid now living near L.A. guitarist Marc Antoine is a global citizen in the true sense of word. His object of desire is specifically his new hometown Laguna Beach (2016). This place to live is now in the center of his interest and thematic core of his new project. To fulfill his musical dream he got help from Gorden Campbell (drums), Roberto Vally (upright bass), Marco Basci (keyboards), furthermore bassist Armand Sabal-Lecco, saxophonist Greg Vail, percussionists Gumbi Ortiz and Richie Gajate Garcia, and special guests Philippe Saisse (keyboards on “Why Not,” “Deixa” and “New Morning”), Paul Brown (electric guitar solo on “This and That”), Rick Braun (trumpet on “Minority”) and Dutch harmonica master Tim Welvaars (on “Deixa”). The musical journey begins with Why Not, the fusion point of acoustic guitar of Spanish heritage and the bluesy jazz. That acoustic guitar fits to contemporary jazz horns and piano one can hear note for note. Since emerging as a force in contemporary jazz in the mid-90s with a trademark sound captured in the title of his debut album Classical Soul, Marc Antoine has shared his joyous musical wanderlust on a discography infused with extraordinary exotic journeys. After living and recording in Madrid – his wife Rebeca’s hometown – for 12 years, the multi-talented Parisian born acoustic guitarist relocated back to Southern California in 2015. While keeping his deep melodic flow and exotic textures front and center, he shares the lighthearted spirit of his exciting new life on his highly anticipated Woodward Avenue Records debut, an homage to his new hometown of Laguna Beach. Though he recorded some of his most acclaimed recordings while living in Spain – including Hi-Lo Split, My Classical Way, Guitar Destiny and Foreign Xchange, his dual guitar album with current Woodward Avenue labelmate Paul Brown – Antoine often felt stylistically limited when working with locals who were versed mostly in pop and flamenco. He deeply missed the kind of versatility of his musician friends that lived in California, and the camaraderie they shared. 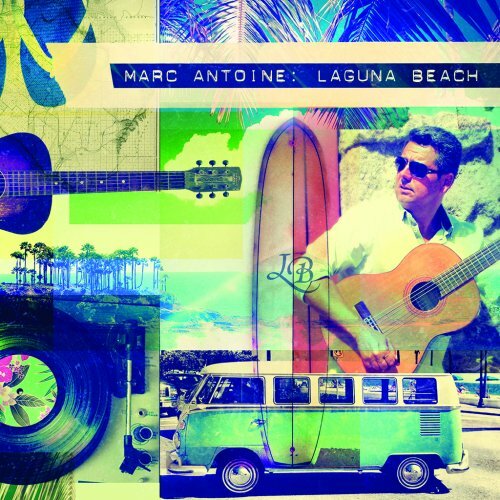 Though he began a handful of the nine tracks at his home studio in Madrid, Antoine – who plays nylon string, steel string, electric guitar, keyboards and percussion – was excited and freshly inspired by the musicians he invited to play on Laguna Beach. 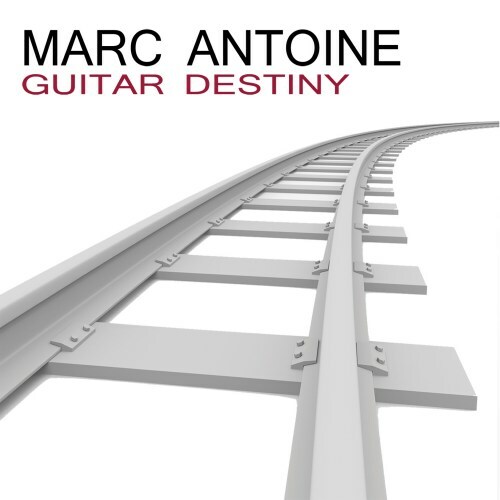 Born in Paris residing in Spain guitarist Marc Antoine considers himself as a world citizen. Even though the roots of his work are in Spain, he works with artists from all over the world and is often on a global tour. His new album Guitar Destiny (2012) makes an eloquent testimony for his attitude. He invited many International musicians like Philippe Saisse, Oli Sik, Warren Hill, Louis Conté and more to share his recordings. His project is inspired by his many travels and musical destiny. Marc has written all songs but received with great gratitude the musical contributions of his fellow musicians.